Long-term and sustainable milk options are far more than many preppers realize. Keeping livestock or spending a lot of money (and using a ton of space) to stockpile commercially manufactured powdered milk are only two of many ways to ensure there will be milk to drink, cook, and bake with during a SHTF event. 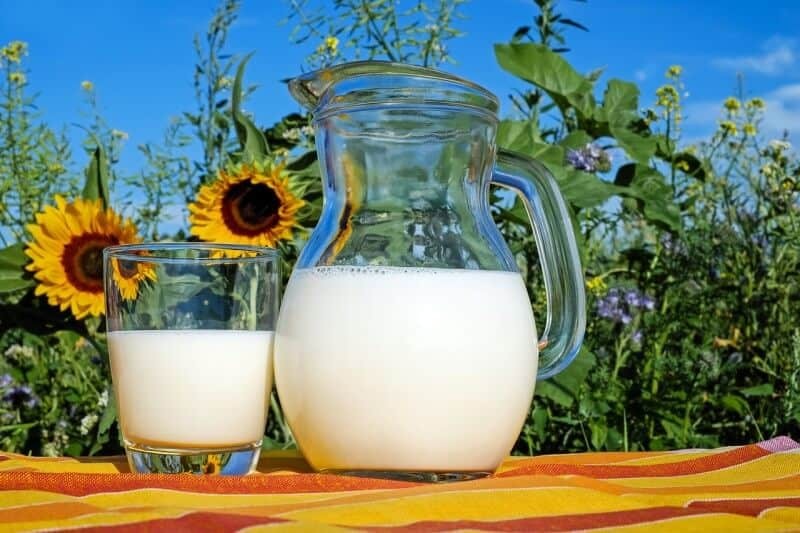 Milk is not as substantial to life as water, but it is a staple of our everyday lives. 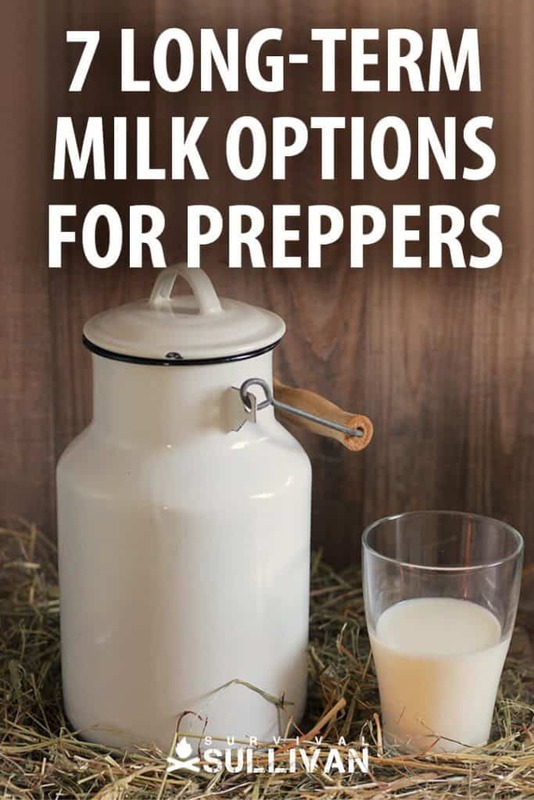 Being without milk during a long-term disaster would vastly decrease the ways you can prepare the food you are growing, raising, or have stockpiled to keep your family healthy and strong during the SHTF event. Long-term instant milk can be purchased by the bucket, #10 can, or by the case. This version of powdered milk may last for up to 20 years. That is a far longer shelf life than the dry milk you can buy from the local grocery store, but long-term storage milk isn’t exactly cheap. Depending upon the brand of long-term storage milk you buy, it has often described as being creamier than regular store bought milk. Some brands of long-term storage milk does have the chalky taste often attributed to some brands of instant milk, again, depending upon the brand purchased and personal taste. While mixing instructions vary by brand, you should generally expect to mix the instant milk to ready it for drinking, cooking, or baking by adding about 8 cups of cold water to the recommended measured amount and stir. To make just a glass of milk, mix together 8 ounces of cold water and 4 teaspoons of the instant milk powder. Common ingredients in long-term storage instant milk cans or buckets include: non-fat dry milk, Vitamin D3, lactose, and Vitamin A Palmitate. Whey milk is perhaps the perfect long-term milk storage option. It not only has a pleasing light, and vanilla taste, but also boasts a long shelf life and a host of nutrients. Commercially manufactured whey milk buckets and cases are comprised not of a bunch of loose powder that gets exposed to moisture every time you lift the lid, but sealed pouches. Thus, only the whey milk powder in the packet you open is exposed to light, air, and moisture. When stored as instructed, whey milk can last for up to 20 years. You just add water to the whey powder, stir, and enjoy a delicious glass of milk. The prepared powder can also be used for cooking and baking. Powdered or dehydrated instant milk, can be purchased in just about any grocery store or from a survival store. The powdered milk from the grocery store typically states on the label that it has a two year shelf life. I have personally known folks that have found it still tasty and safe to use up to five years, but that type of off-label consumption is not recommended by manufacturers. As this article shows, you only need powdered milk and water to reconstitute it into the delicious whole food we all know and love. You can also purchase condensed milk and evaporated milk in cans, and mix with the appropriate amount of water as directed to make milk for baking and cooking. Canned milk also has about a 2-year shelf life. Roasted almonds are shelf-stable for a minimum of 12 months. If almonds are kept refrigerated or frozen, they can keep up to two years. Mixing just one cup of almonds with 2 cups of milk are the only ingredients you will need to make milk that has about the same consistency and nutritional benefit as grocery store 2% dairy milk. Growing soybeans on your prepper retreat can also provide you with yet another long survival milk option. 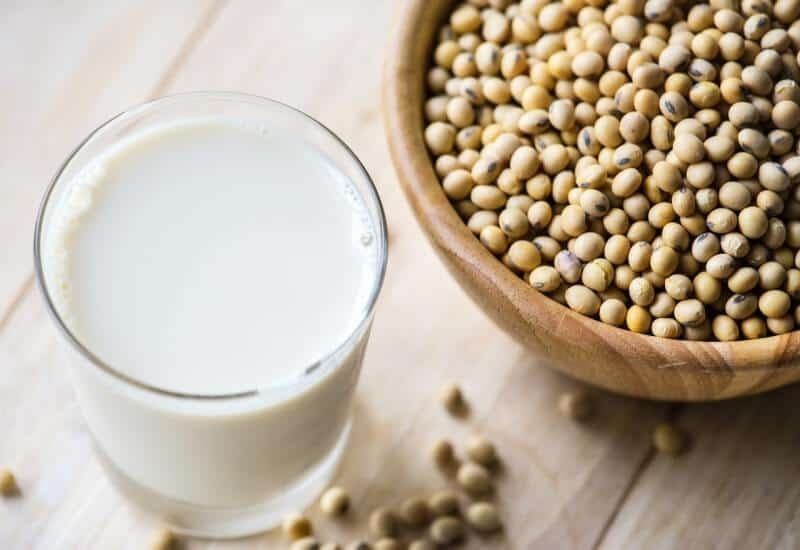 The good thing about soy is that, although its not of animal origin, it’s a complete protein source, meaning it contains all of the essential amino-acids that our body is unable to make on its own. Rice milk is yet another option. If you buy it from the store, you’ll notice it won’t last long. Ideally, you want to store the rice, and only make the milk when you need it post-SHTF. As with soy and almond milk, all you need is rice and water. Take a look. 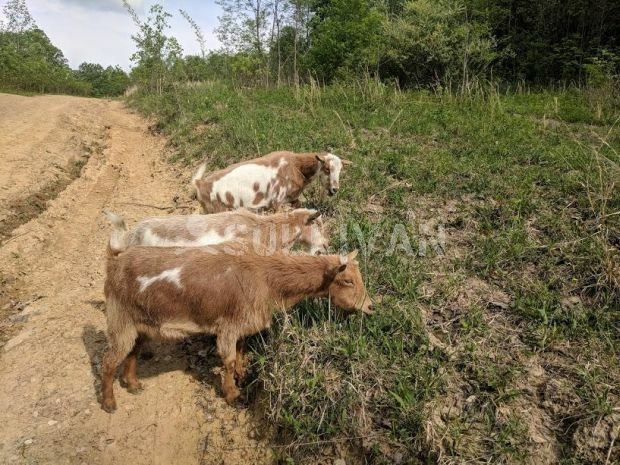 If you are fortunate enough to be able to live and work on a multiple acre survival retreat, you can keep cows or goats a part of your, but relying solely on them to provide milk for your family could lead to massive disappointment. Should the dairy cow or goat become ill, attacked by a predator and killed, or stolen by a marauder post-SHTF, you milk source will be gone. Both types of livestock will require hay to eat over the winter, in addition to grain. The amount of land you have to provide winter hay, including possessing your own operational equipment to bale it, along with the space to stockpile either feed grain bags or hay (or both) will determine how successful your chances will be at feeding and maintaining the livestock during a long-term disaster. Cows eat about 100 pounds per day of feed, a factor which must be taken into consideration when relying either heavily or lightly when factoring cows into your milk preparedness plans. If your cows cannot graze during the winter and early spring months, a multitude of feed must also be stockpiled for their consumption, or your dairy cows and/or goats will soon perish. Baling hay the old fashioned way without gas-powered equipment is possible, I have helped do it. But you must have both time and enough hands to devote to the process to get the hay in – while still maintaining security and the other vital functions on your survival homesteading retreat in the process. We live on a 56-acre prepper retreat and keep both cattle and goats. While they are our primary sources for both meat and milk, that are definitely not our only such sources. All breeds of cows can be expected to produce milk once they deliver a calf. About 10 months after calving, the amount and quality of milk produced by decreases significantly. This is known as the “drying off” period. Approximately 12 to 14 months after the birth of a calf, a cow will be capable of calving again – offering a large quantity and quality of milk on a daily basis again. Some people prefer the taste of goat milk to cow milk, and believe it offers a more digestible fat and protein content than cow milk – making it easier to consume than cow’s milk for lactose intolerant individuals. The smaller animals will require less feed during the cold weather months, but will still need to be fed in order to survive. Goats are wonderful weed-clearing animals, and will happily consume just about any unwanted growth you have around the homestead. A standard dairy goat can provide 6 to 12 pounds of milk daily during her 305-day lactation period. A Nigerian dwarf or pygmy goat typically offers about one quart of milk per day during the same time frame. A standard dairy cow provides about five times as much milk as a standard goat, but also requires more feed and needs quality hay during the winter. Goats are “browsers”, and even during the winter can find a lot of their own food eating dead leaves and low quality underbrush. Do not limit yourself to just one, or even two options when it comes to having milk in survival situations. I hope to keep healthy cows and goats throughout a SHTF scenario, but just in case I lose them for whatever reason, we’ve also dehydrated numerous gallons of milk, purchased buckets of powder milk, grown soybeans, and rotated cheap grocery store instant milk in and out of our pantry. We store our dehydrated powdered milk in small containers so it will not be overly exposed to moisture when opened, and also to make it more portable in a bugout situation. There is also canned cream. Sometimes it is labeled “table cream” or “media-crema”. I like the richer taste and often add some to reconstituted powdered milk, or use it right out of the can in coffee. It can be found in the grocery near the other canned milks. I have also found it at some larger Dollar Tree stores, discount closeout stores, and at ALDI in the Latin section.